The McGill Library strives to be a safe place of inclusion where people of all stripes can come together in the pursuit of knowledge. We embrace the LGBTQ community and openness in general as a core value. Library Pride means welcoming all people with kindness and continuing to harbour safe, inclusive spaces, where everyone can learn. The Library is a sanctuary of mutual respect, diversity and cooperation. It is a place where all are welcome. La fierté bibliothèque m’est…un environment inclusif où tout le monde est le bienvenue ! Bonne fierté 2016 ! Inclusion, acceptance and mutual respect – these foster Pride because they create an environment for collective courage! Being you and loving who you are! Proud to be queer and who I am without shame. Love for all! Library Pride means promoting an atmosphere of excellence, achievement, innovation, respect and inclusion. 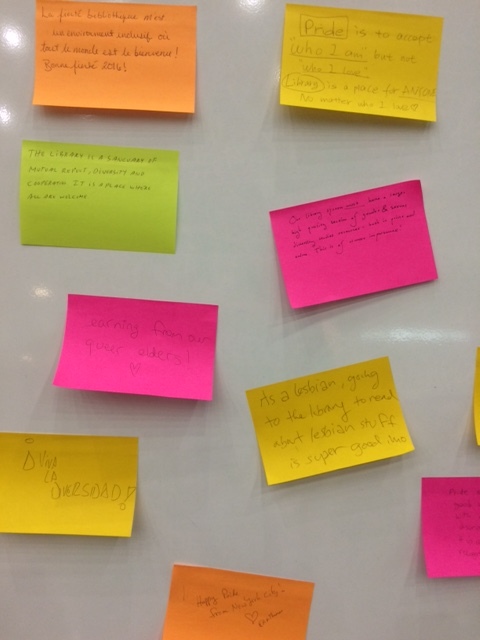 Library Pride means feeling fortunate and comfortable working and studying in such a welcoming and accepting place. Library Pride means that the pursuit of happiness and knowledge is something everyone has a right to. Let’s celebrate love, unity, and peace. Diversity + Difference = Beautiful. I believe that everyone has the right to their own sexual preferences and orientation. 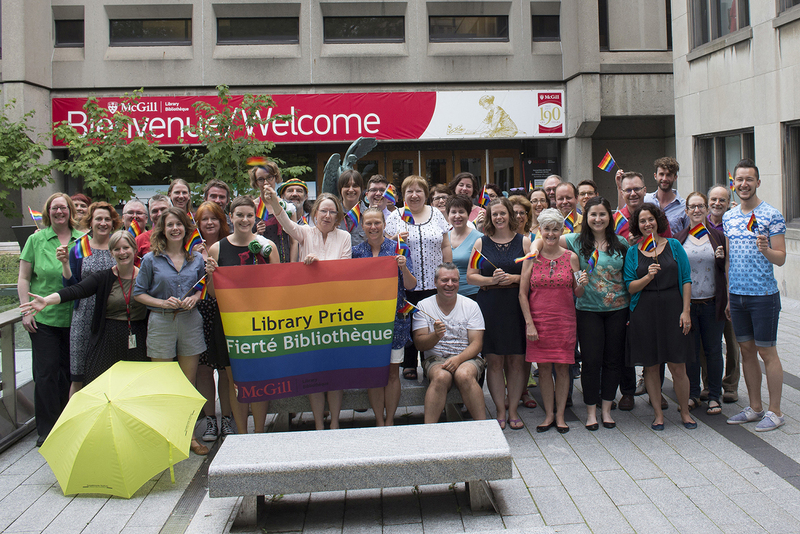 I support the Libraries like Redpath-McLennan in welcoming the LGBTQ community. Pride means feeling good in your skin with no fear of discrimination. It is acceptance and recognition. Proud to be here, proud to be queer. Pride is embracing your identity (and loving it). En ce mois de la fierté au Québec, je me rappelle que nos bibliothèques québécoises, qu’elles soient universitaires, publiques, collégiales ou scolaires, sont des endroits inclusifs où toute personne de toute origine, de toute religion, de toute nationalité, de tout genre, de toute sexualité, etc. est la bienvenue dans ces lieux démocratiques et ouverts.